December, 2016 - Many of you have asked for a easy way to get reminded on regular checks and maintenances for essential appliances like gas furnaces, smoke and CO detectors (in most countries regular maintenance/checks for some types of appliances are required by law). We are glad to let you know that Landlordy version 1.8 adds support for appliances and appliance maintenance records to keep information on appliances organized, store maintenance records and provide you reminders on next maintenance/check dates. 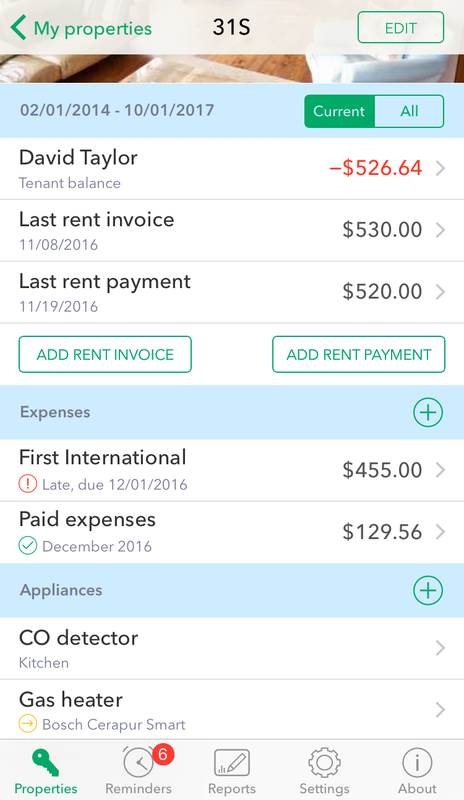 Rental unit dashboard (as well as property dashbord, if property has more than one rental unit) now has Appliances section to store information on appliances of the rental unit. You can add information on appliances, including notes, attach important documents like user manuals, error codes and other related photos to access them quickly when needed and share with tenants when appropriate. Landlordy users with Personal Edition features enabled can add new appliance types and change/disable default appliance types supplied by Landlordy. 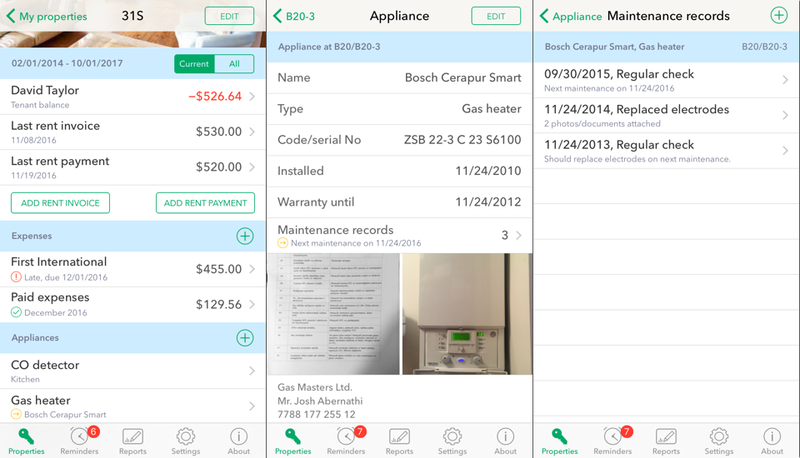 Manage details on appliance maintenance/check/testing records, add notes, related documents and photos. 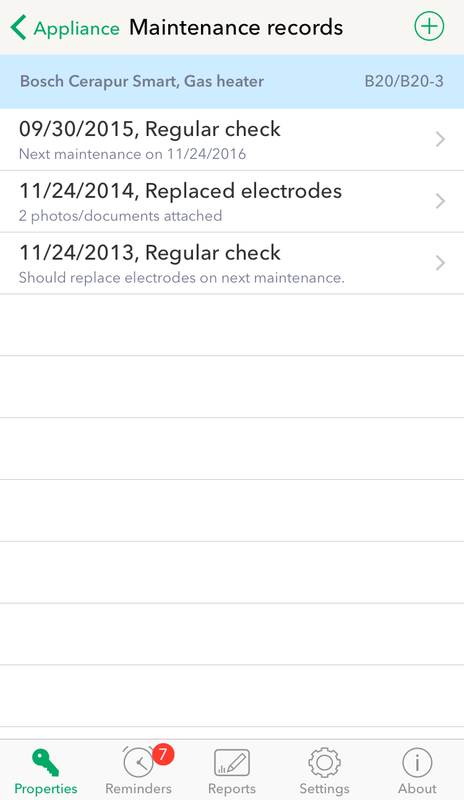 Set next maintenance date for appliance to get reminders when maintenance for appliance is due. Easily share attached documents (like gas certificate) with tenants. 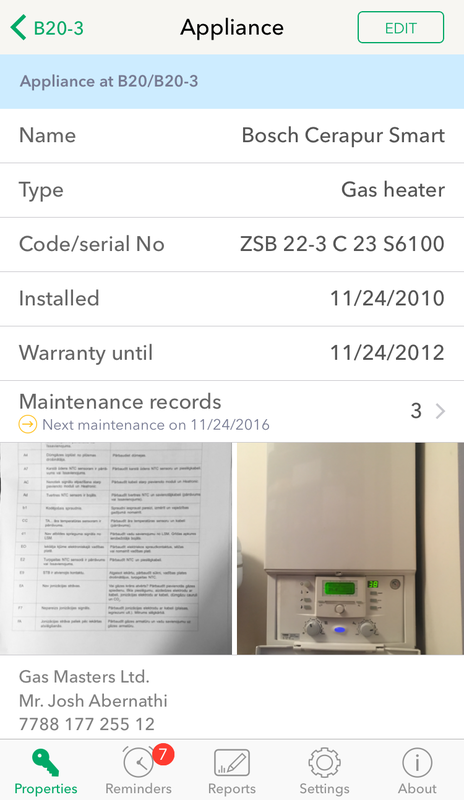 With appliance data and maintenance records added in Landlordy you have all the essential information about your rental property in your pocket or purse, available whenever you need it, just a few taps away. With 2017 approaching fast we would like to wish you a great holidays season and all the best in the coming year. Let the best tenants be with you!